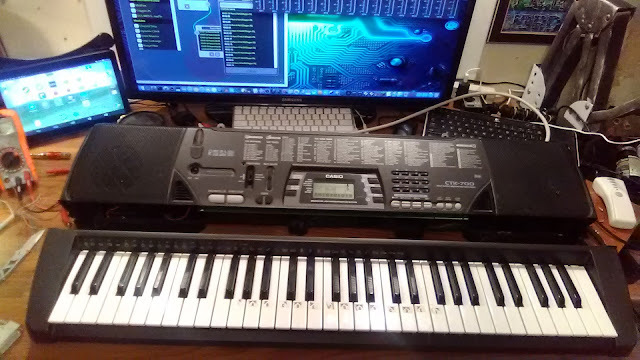 Bought this Music Keyboard for $10 from Thrift Store. Too big to fit on my main computer desk. So i cut it onto 2 parts. Ripped it down the middle with a Circular Saw. Now just need to re-wire a Longer Cable to connect the 2 parts. 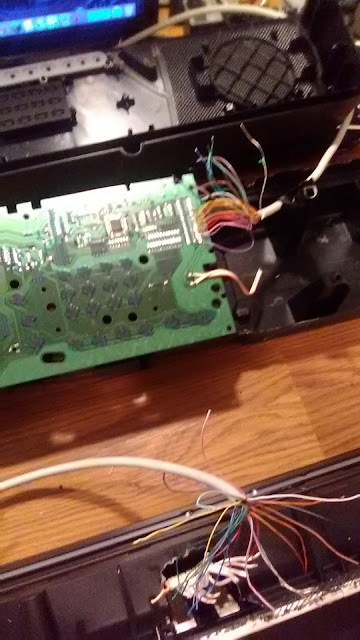 using an old Parallel Cable to use for quick connect/disconnect. 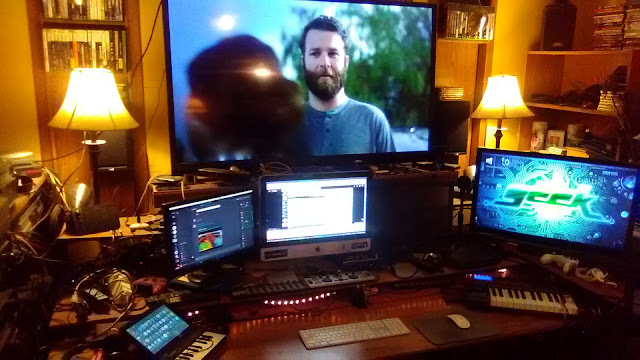 Here is the limited space below my monitor. 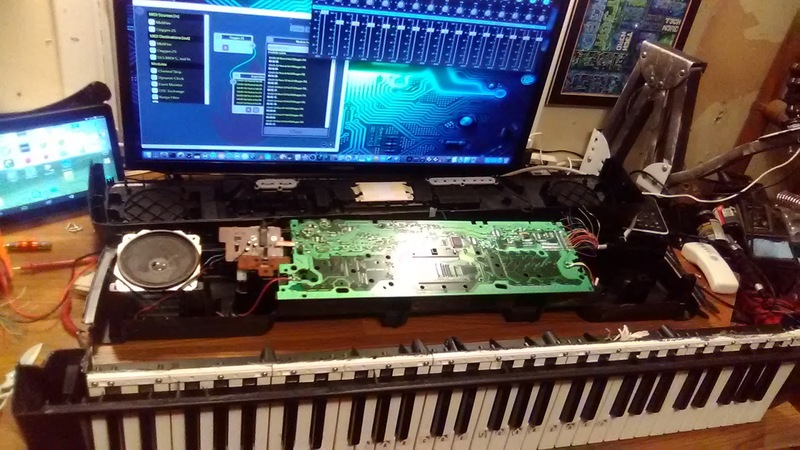 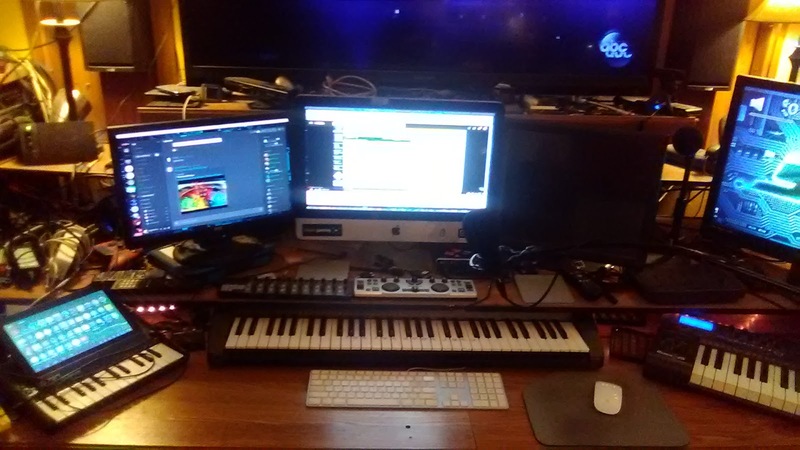 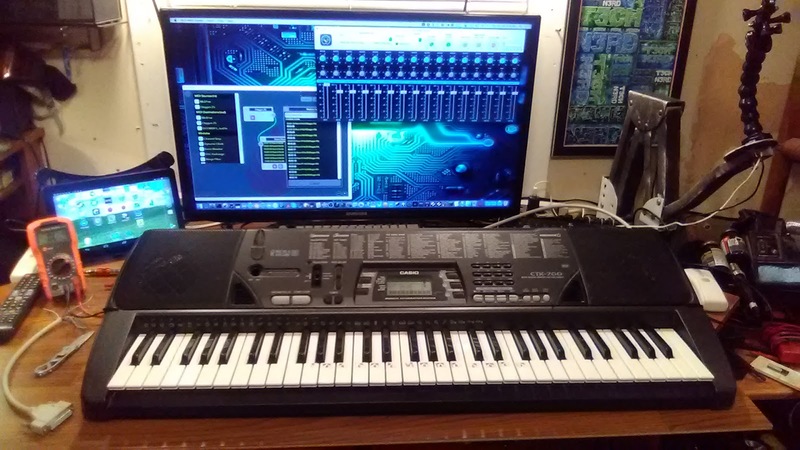 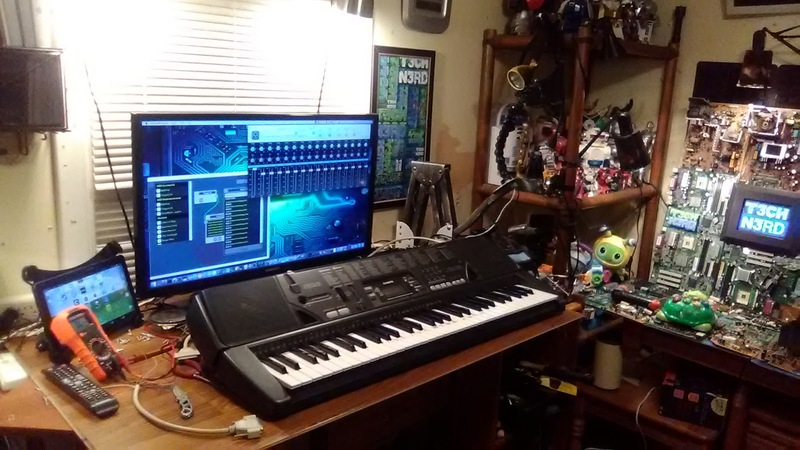 Now the Music Keyboard can fit on my desk .